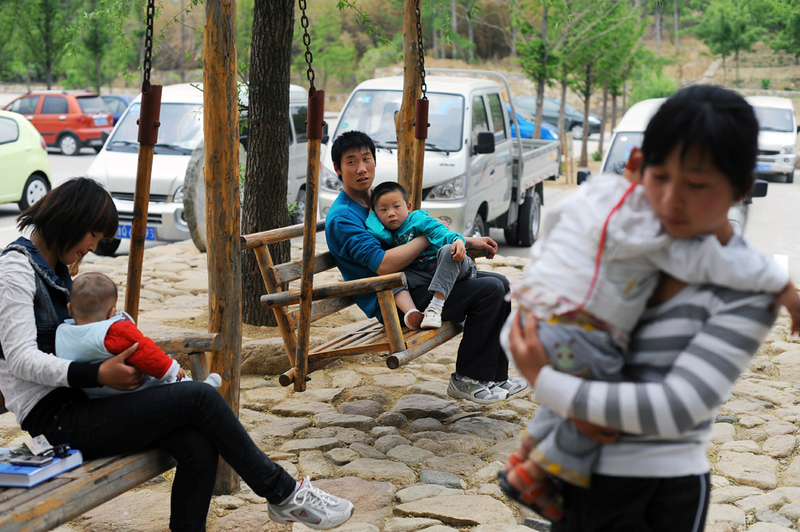 Li Chuan-hua babysits his son Li Jia-yi at a rest place of parking lot. Although Li Jia-yi is already five years old, he behaves like a spoiled child because he hasn’t seen his father for almost three years. Li Chuan-hua and his friends are on a family day trip. Shandong Province, China.